In this article, we would like to preview a few very unique Passive RFID products that we are going to launch in coming quarter. 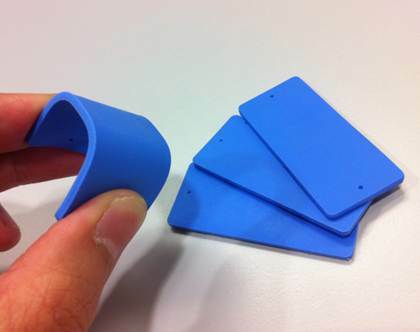 These tags are designed for retail industries and aimed for fast & easy deployment for the front-end shop keeper. 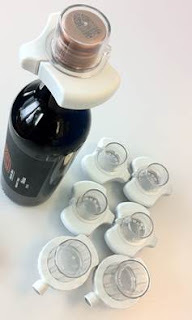 Some of them, such as Bottle Clamp Lock, have duel RF features, i.e. they have both UHF for inventory management and AM/RF for Electronic Article Surveillance (EAS). The UHF RFID provides Electronic Product Code (EPC) and user writable memory, it is the best for supply chain management. 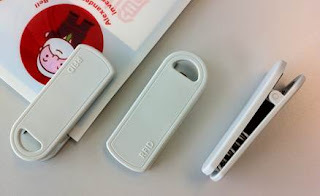 And AM/RF EAS is used in daily life for shoplifting prevention, they don't have a ID but it works with conventional EAS gates in shops worldwide. 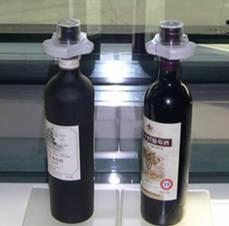 This is a wine bottle lock-tag, the 2-piece clamp make it easy for bottle with diameter about 26-29mm. Once fastened, a detacher key is needed to unlock it. This lock-tag has both EAS and RFID chip inside, suitable for both inventory tracking and shoplifting prevention. 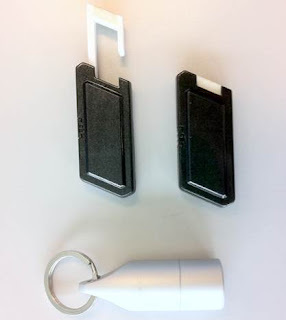 A detacher key (tag remover) is shown in above photo for reference. 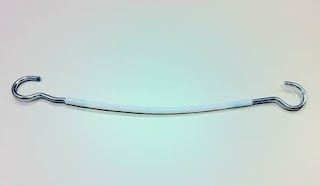 It is widely used in logistics, steel manufacturing and construction industry. Please contact our Sales Representative, if you are interested.